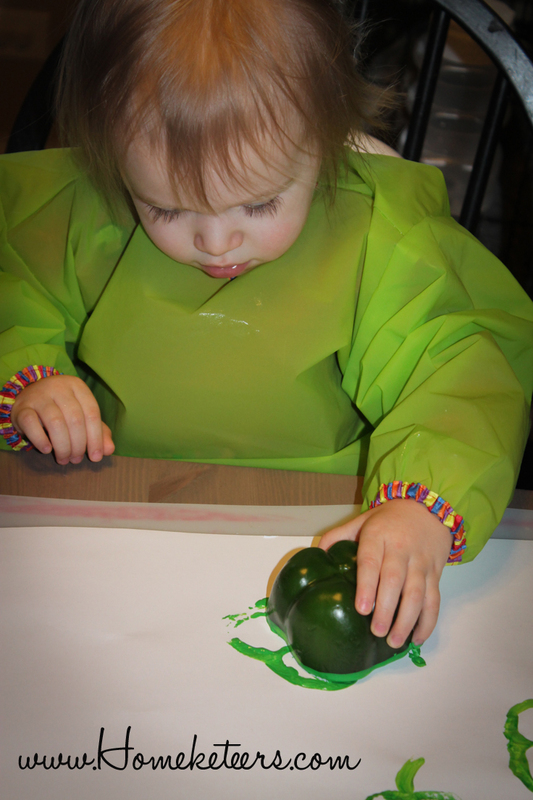 Here are 3 different painting activities to do with your toddler. 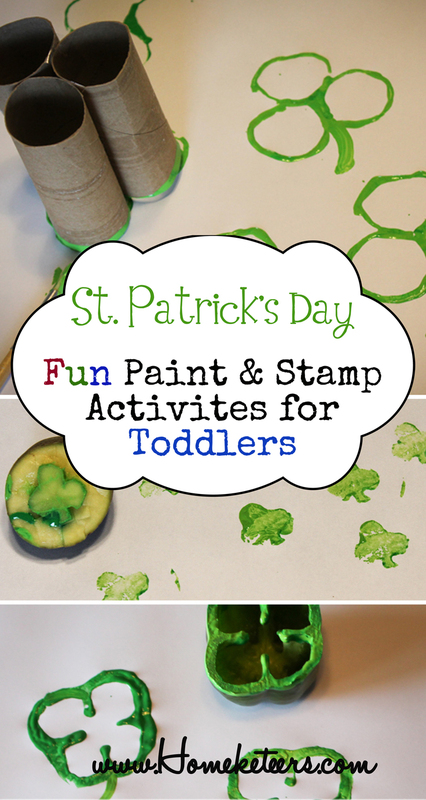 I tested all of these on my own toddler and she had a blast! 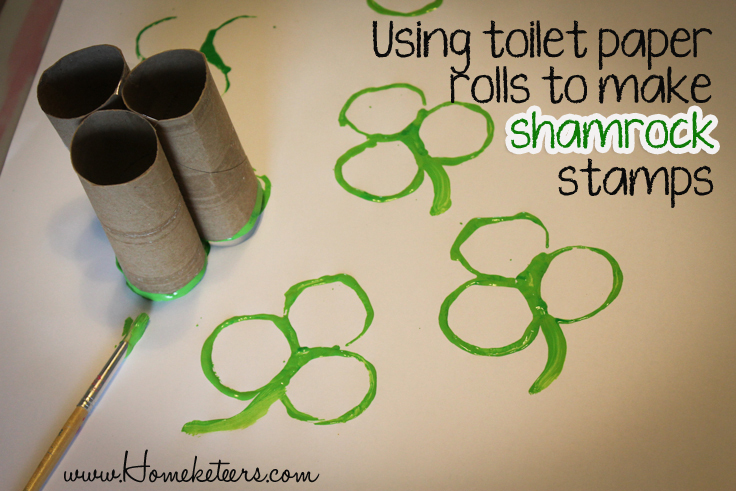 #1 Making a Shamrock stamp using 3 toilet paper rolls. 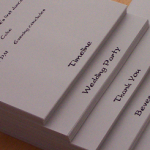 I got this idea yesterday morning when I was putting a couple toilet paper rolls in our recycling box. 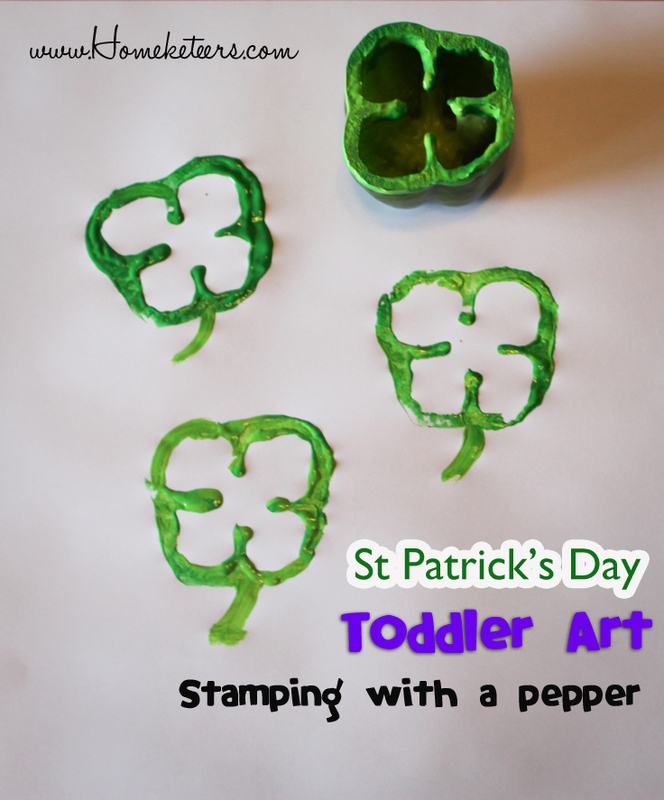 I just knew I could make something with them and this shamrock stamp turned out perfectly! 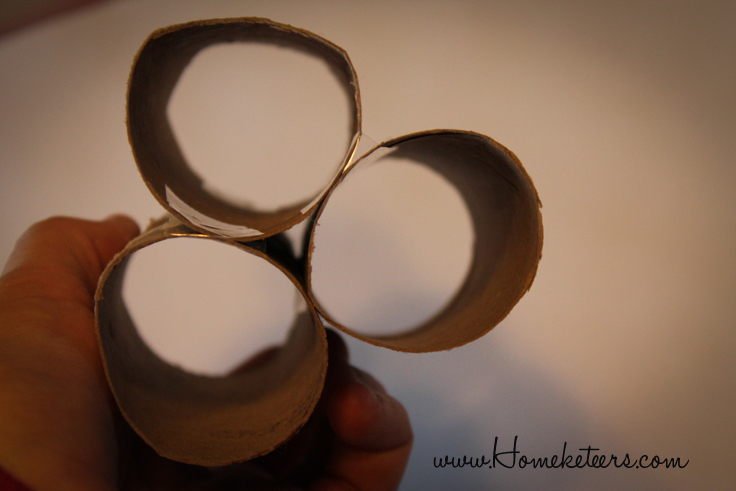 Simply tape together 3 toilet paper rolls and make sure the ends are all level with one another. 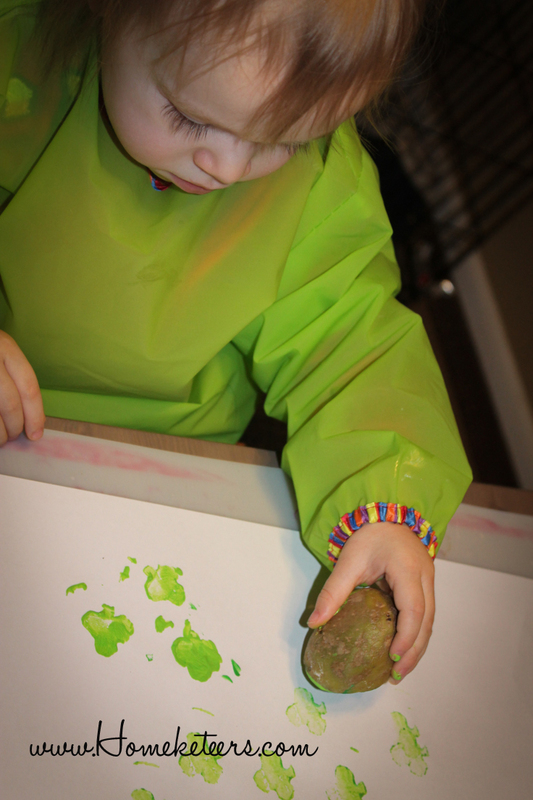 Pour some paint onto a paper plate and let your child have fun stamping! I added a little stem to each of the shamrocks afterwards. 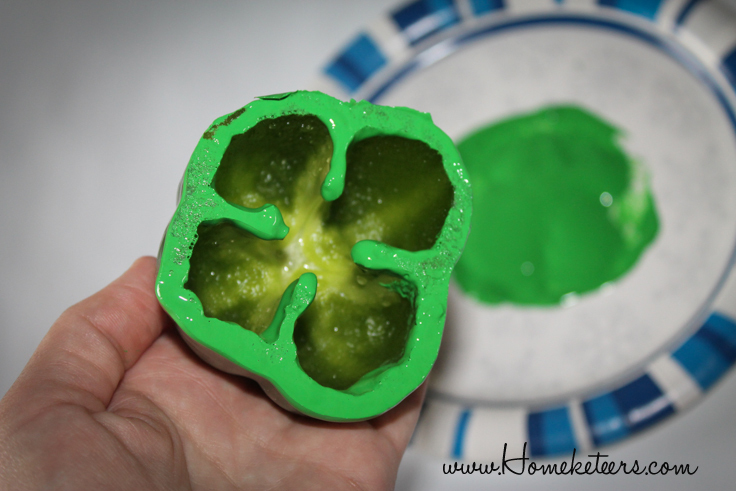 This was so easy to make – simply cut a green pepper in half, take the seeds out and voila – a ready made stamp! This was really easy for my 19 month old to hold on to as well, I think this was her favorite stamp to use. 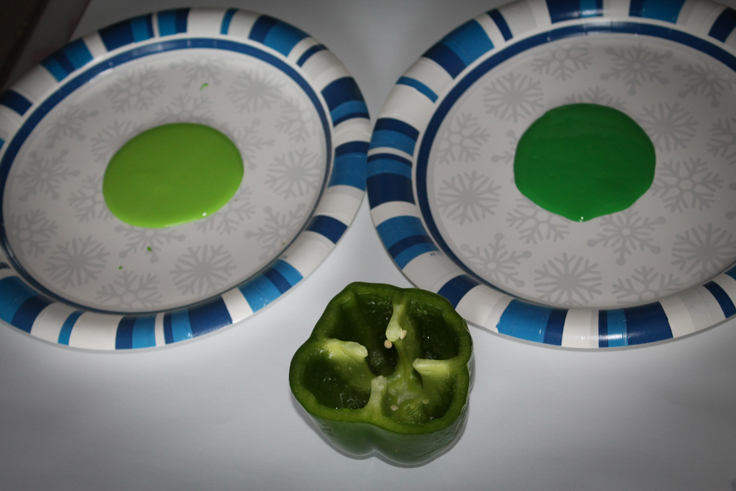 I also added a little stem to these ones afterwards. 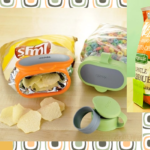 This is definitely something you will need to make yourself since you’ll need a very sharp knife. 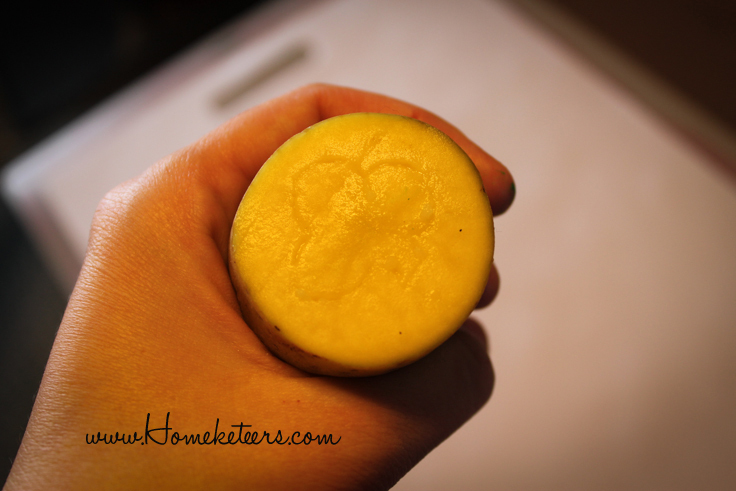 I sliced a potato in half and etched the shape of a shamrock into the center with the end of a pen. 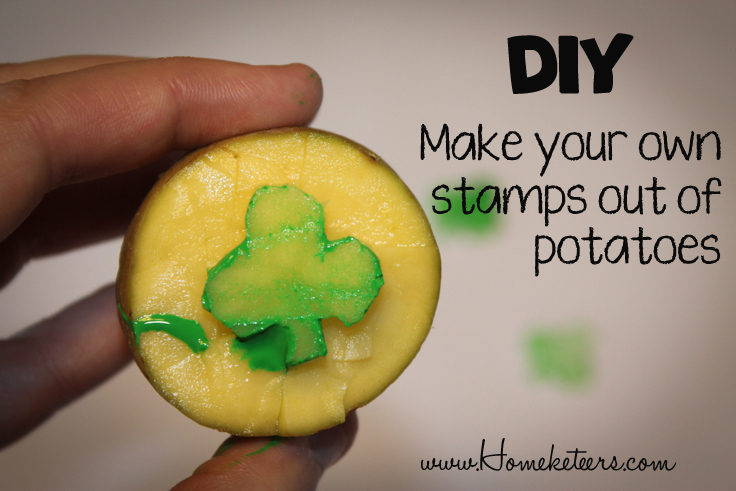 Next I used a small paring knife to carefully cut the edges of the potato away so that the shamrock stood out in the middle. 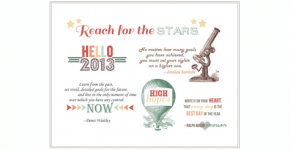 This stamp was also pretty easy for my toddler to hang on to. 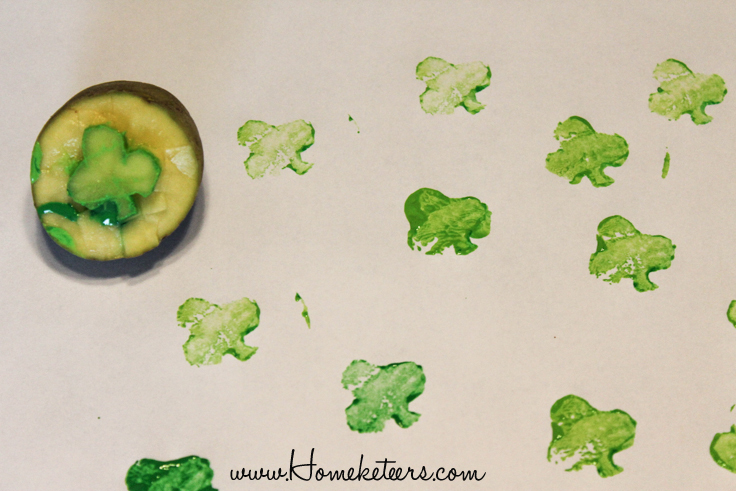 Try making these potato stamps with other shapes too!